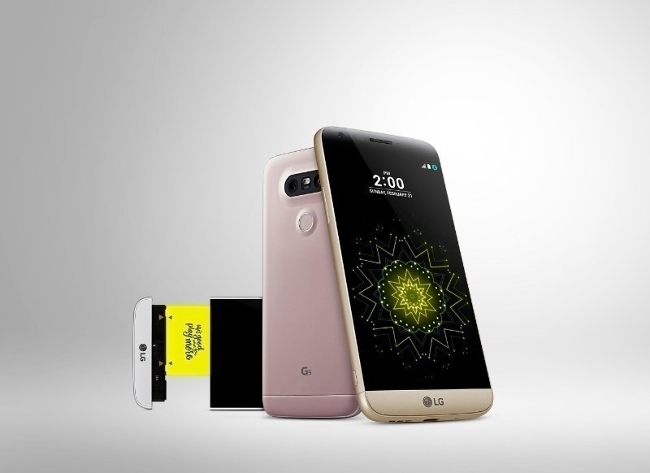 Starting today, LG Electronics’ (LG) highly anticipated LG G5 smartphone is available for purchase. The LG G5 can be pre-ordered now online and will be in stores starting tomorrow via major carriers and retailers, including AT&T, Best Buy, Best Buy Mobile Stores, B&H, Sprint, T-Mobile, U.S. Cellular and Verizon. The LG G5 introduces a paradigm-shifting modular design that allows for a collection of companion devices, called “LG Friends,” to plug in and transform the LG G5 into a DSLR-style camera, a mobile virtual reality viewer and more. Unveiled last month in Barcelona at this year’s Mobile World Congress, LG G5 is the result of LG’s tireless effort towards delivering purposeful innovation for a better life and a more dynamic user experience for its consumers. Capturing the attention of MWC media and attendees alike, the LG G5 amassed a total 33 awards including being named the Best New Smartphone at Mobile World Congress from the GSMA’s Glomo Awards, the mobile industry’s longest established awards platform for innovation, excellence and achievement. The LG G5’s sleek aluminum body and modular type design allows consumers to easily swap out a depleted battery for a fully charged one in just seconds – a feature that most other high profile smartphones don’t offer. To celebrate this smartphone innovation, LG is rewarding customers that order a LG G5 beforeApril 17, 2016 with a free extra battery and battery charging cradle which also acts as a standalone portable charger while on the go. For more information on LG G5 and LG Friends, please visit: LG.com /G5. *Terms and conditions apply to LG G5’s promotional offers. For more information please visit: http://www.lgg5launchpromo.com.